Should Your Company Offer Caregiver Benefits? 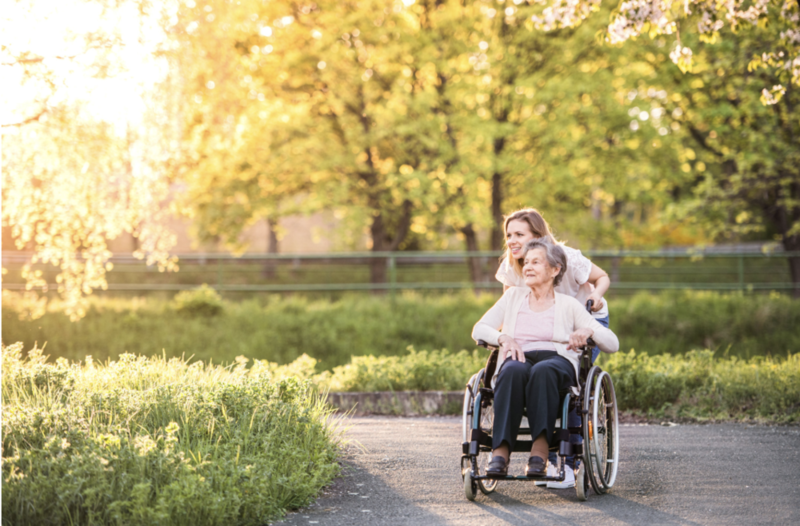 Finding balance between caregiving while also being focused and present at work can be a challenge for employees with disabled or elderly loved ones at home, causing added stress and decreased productivity. Recognizing this challenge, many firms are now including some form of caregiving in their HR programs and it has not only helped the employees in their dual roles as caregivers, but has benefited employers, as well. Yet, according to the National Alliance of Caregivers, only 11% of employers currently offer caregiving benefits. On average, working caregivers miss 7 days of work a year, while caring for loved ones. 73% of America’s caregivers work either part-time or full-time, and women are at a particular disadvantage since two-thirds of the nation’s caregivers are female. Half of these women who work, while also providing care to loved ones, could not get time-off to manage their family needs. Your business may be facing a threat to productivity and the loss of skilled, educated professionals, to competition that has now recognized these issues, and have acted to help. Several studies have shown that employers who adopt flexible workplace policies enhance employee productivity while actually lowering their business costs. Large corporations paving the way such as Intel, Kimberly-Clark, CBS and GlaxoSmithKline, now offer flex-time for caregiving employees as an effort to be proactive, rather than reactive to these needs. Understanding the ongoing issues that caregivers face is an important first step. Resources for analyzing and coordinating these ideas may be to search caregiving websites such as Cariloop.com, Wellthy.com and Torchlight.com, who can also provide insights into the pros and cons and the various paths your business can take. Some of the ongoing daily challenges faced with disabled or special needs family members may include coordinating schedules, managing doctor visits, managing prescription dosages, visits to the pharmacy, medical testing, transportation, insurance advice and more, and these websites can provide you with valuable information to contemplate. A decade ago, companies stepped up to the plate for increased maternity and family leave, and now employers are gaining insights into the challenges of caregiving, clearing the way for employees, assuring them that they won’t be demoted, laid-off or miss-out on promotions if they talk with a manager about their caregiving responsibilities, allowing employers to get creative and offer support. Businesses that tackle these issues now are also creating an opportunity to build talent pools for years to come. For more information on these issues, check out the U.S. Employment Opportunity Commission report by clicking here.